Great apartment in a new urbanization in a tranquil location in the hills of Altos de Marbella. 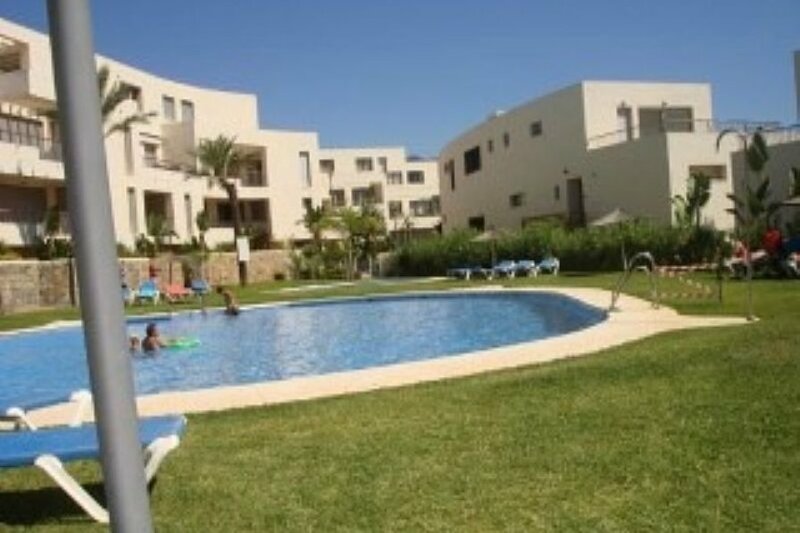 The apartment is just 10 minutes drive from the beach and there are 3 golf courses ( Marbella, Rio Real & Santa Clara golf courses )within 1 -2 km distance and El Casco tennis club with 8 clay courts and a gym 10 minutes by car. Living Rooms: Large open plan luxury lounge with seating for 6-8 and dining room with 6 seater table. 42 inches LCD TV with Sky channels, DVD / CD systems. Full width and height glass sliding doors leading to the large terrace. Terrace furniture for 6, with terrace lights. Master Bedroom: Double bed, Double wardrobes, Digital safe, Floor to ceiling glass windows and door leading to large terrace with hill facing views. En Suite- Large bathroom with double sink, vanity unit in marble. Underfloor heating, bath with shower over and glass screen. WC and bidet. Bedroom Two: With 2 single beds, fitted wardrobes, floor to ceiling glass windows and door opening onto large terrace. Bedroom Three: With 2 single beds, walk in wardrobe, floor to ceiling glass windows and door opening onto large terrace. Main Bathroom: With double walk in shower, wash basin, WC and bidet. Kitchen: Fully fitted modern kitchen with granite work surfaces, complete with ceramic hob, with Bosch washing machine, dishwasher, microwave and oven, kettle, toaster, and coffee maker. Guest Toilet - WC and sink. Terrace: Spacious terrace with hill views, with dining table and six chairs. Garden: Private lawn garden the whole length of the large terrace. Garage: secure underground car parking with lift access opposite the apartment.